“Erin from Social Vision Marketing brings her alert mind and warm personality to the job. 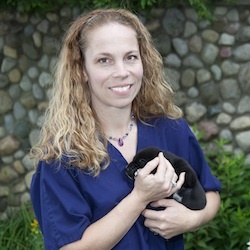 Erin started out with a bang by raising enough money through social media fundraising (via Twitter) to save 8 animals. Erin upgraded our Facebook fan page and got some real activity going with Twitter. And, what an improvement it has been, taking our numbers from 20 Facebook fans to over 1000 in less than a year. “If you’re considering a partnership with a social media company, look no further than Social Vision Marketing. When we opened our business last year, we knew that joining in the social media conversation would be vital to the success of our brand and we also realized we couldn’t do it ourselves. So, the search began to hire a social media agency. We met with many companies and found that the services offered by Erin and Social Vision Marketing were the best available. Erin and her team worked to create our social media brand and gladly gave valuable advice on what we should and shouldn’t do. As MEDIA POWER NORTH’s social media agency-of-record, Social Vision Marketing works daily to accomplish the goals we established together. They represent our brand on all of the social networks where we have a presence which allows our team to fully focus on our own media planning and placement clients. “How do you build a presence and an image in a competitive market place? 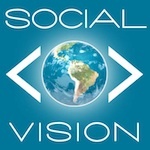 Hire Social Vision Marketing! Elder Living Construction with over 30 years experience in the building and remodeling industry set about establishing a new company with a focus on the Aging-in-Place market. We engaged Erin and Social Vision Marketing to design our logo and build our website. Along the way she also helped us establish the important Facebook and Internet connections a new company needs to thrive. “Silver Leaf Vineyard and Winery in Suttons Bay, Michigan has been working very closely with Erin and Social Vision Marketing for over two years. Erin is a pleasure to work with and with her expertise, has given us presence in our industry while constantly growing our customer following. Our customers call us regularly, complimenting us on our website, our Facebook presence, and our Twitter interaction. In addition, our customers visit us in our tasting room simply to continue their interaction with us.